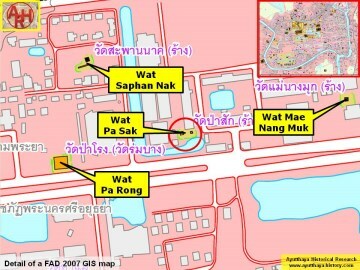 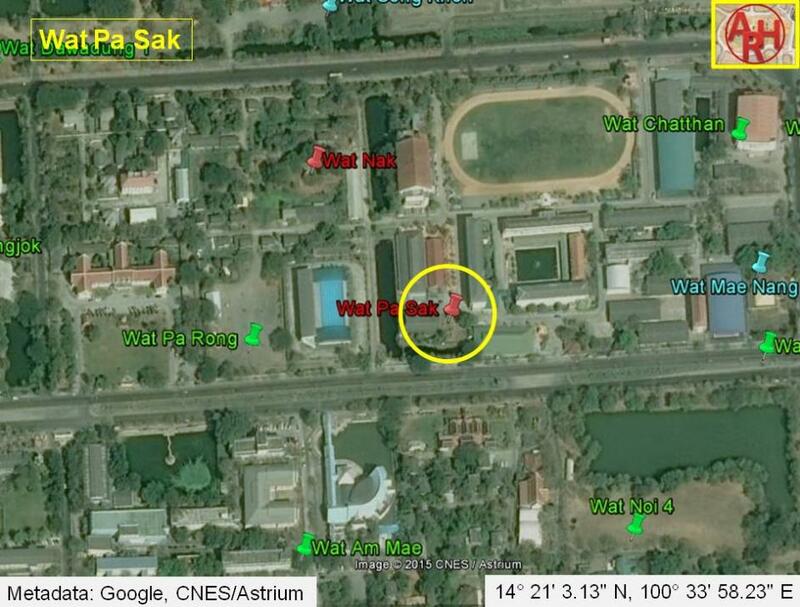 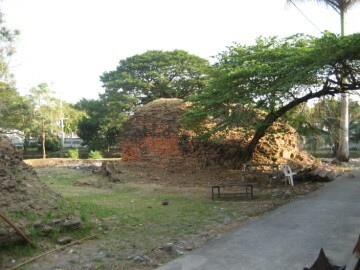 Muk and Wat Saphan Nak. 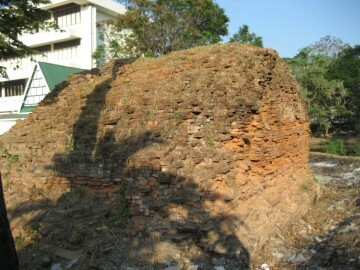 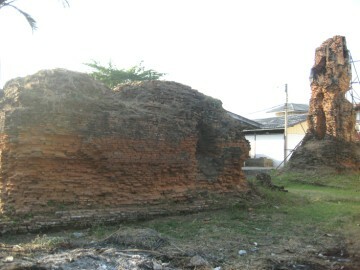 eroded, some stucco remains that give it a similar appearance as the prang at Wat Som. 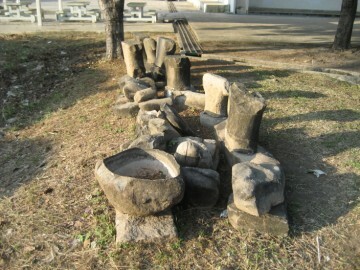 toppling over by metal girders that hold it in place. 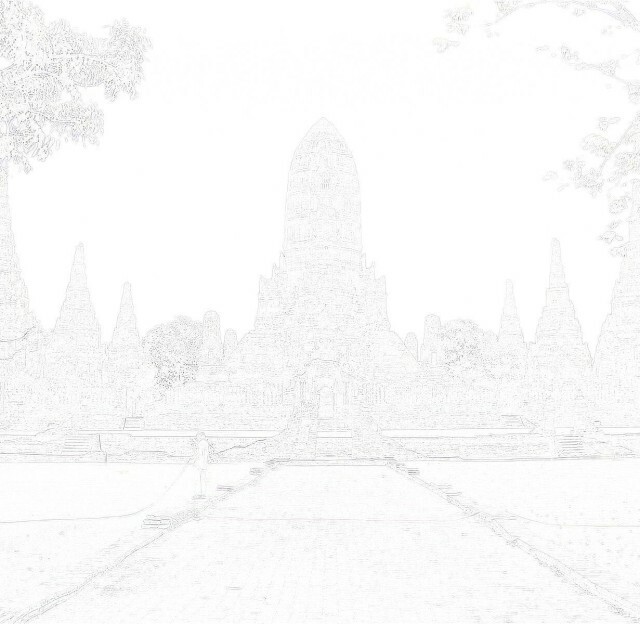 be discerned at the top. 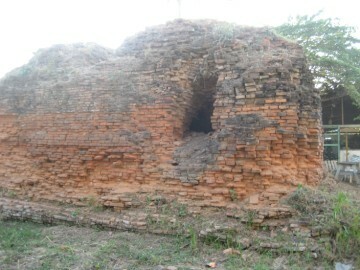 There are several large holes dug into the sides by looters. 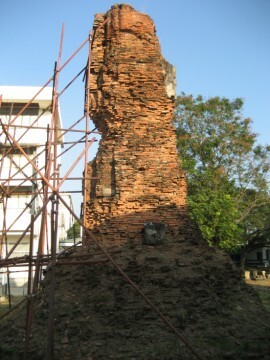 monastery were destroyed during the construction of Rojana Road. 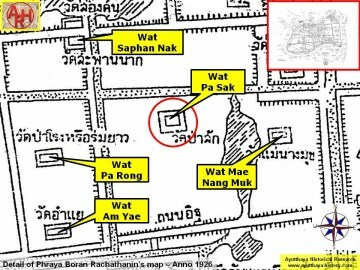 Wat Pa Sak can be translated as the Monastery of the Teak Forest or Teak Quarter. 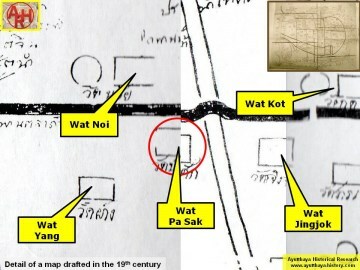 The site is situated in geographical coordinates: 14° 21' 3.13" N, 100° 33' 58.23" E.